350ml. PP Inside. Includes ABS Handle & Lid. Available in Black, White, Red, Blue, Orange, Green. 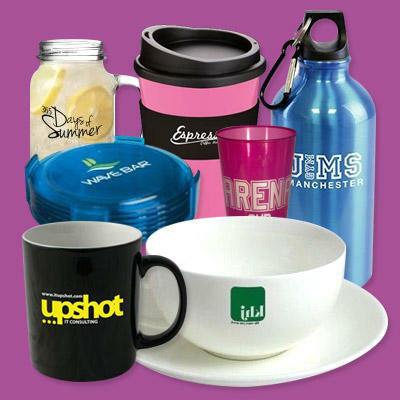 We supply a full range of Promotional Travel Mugs and Sports Bottles, all of whch can be branded in several ways to promote your brand or marketing message. There's no doubt that you will see personalised mugs in just about every business environmet. They are seen every day and have a great shelf life as far as your business promotions go. We can supply the entry level Screen Printed Cambridge Earthenware Mugs right through to Bone China Printed Cups, Saucers and Mugs and offer all of the usual printing methods such as dye sub for full colour, or etched to give a subtle engraved look as well as the very cool Colour Changing Mug where your personalisation with magically appears when a hot drink is added.